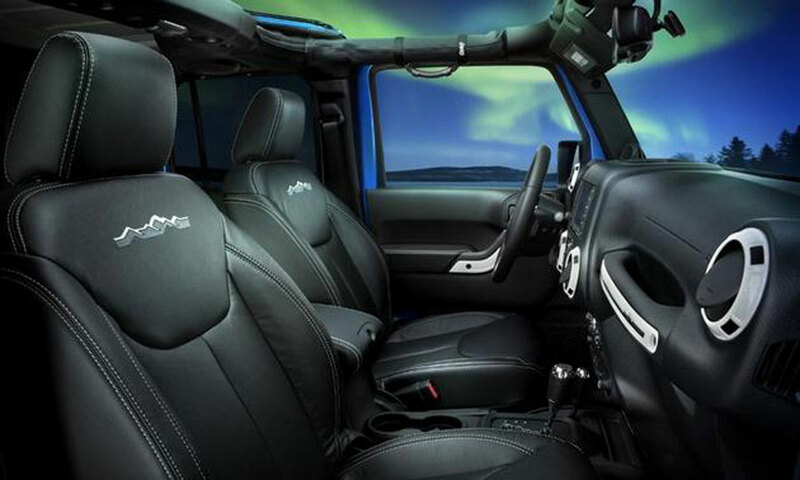 A couple months ago Matthew Scott posted a feature of the Dragon Edition Jeep Wrangler. 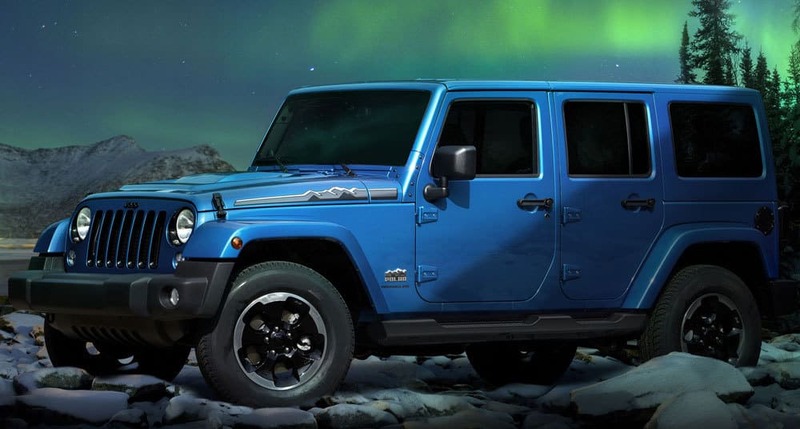 Most agreed, that Jeep isn’t just an eyesore, it lampoons the entire brand. 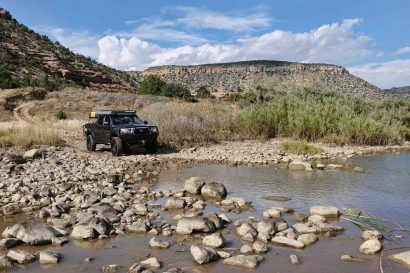 For those with a proclivity to own limited editions of anything, Jeep has rolled out a more subdued option to the Dragon. 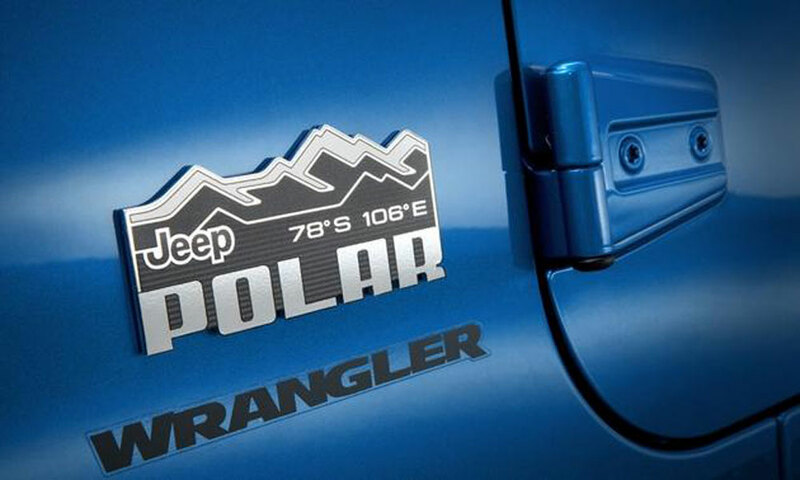 Button up your sweater, that chill you feel is the new 2014 Polar Edition JK, just in time for winter. The Polar Edition was released last month at the Frankfurt Motor Show and is currently available to dealers in North American this month. 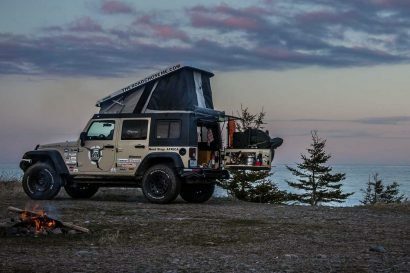 What makes this Jeep a special edition? Well, for starters, it’s blue. Not just any blue, but an icy, chilly, cold blue. 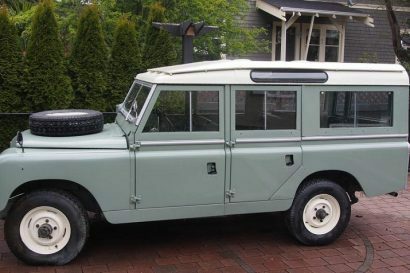 That and it has a nifty badge on the quarter panel with the coordinates to Vostok, Antarctica, a place known for having a record low of -128 Fº. 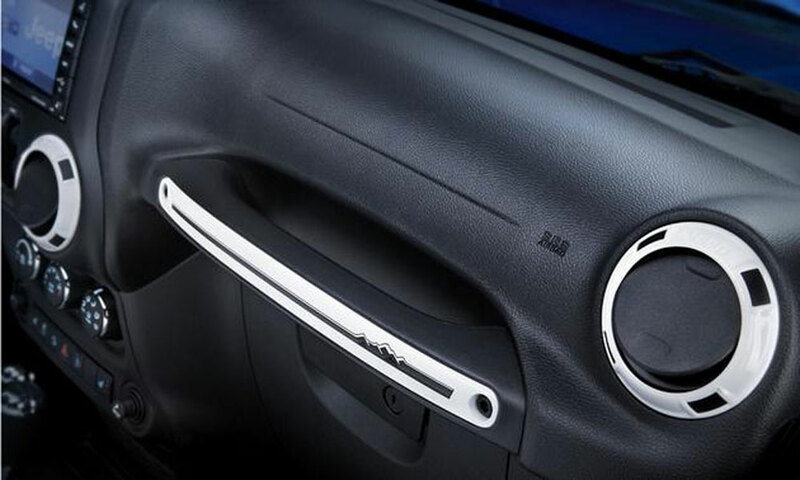 There’s also some additional callouts on the seats and the grab bar on the dash is covered in a high gloss ceramic finish said to evoke the chill of glacial ice. As Matthew said of the Dragon and its ill-advised graphics, special edition Jeeps are simply not necessary. 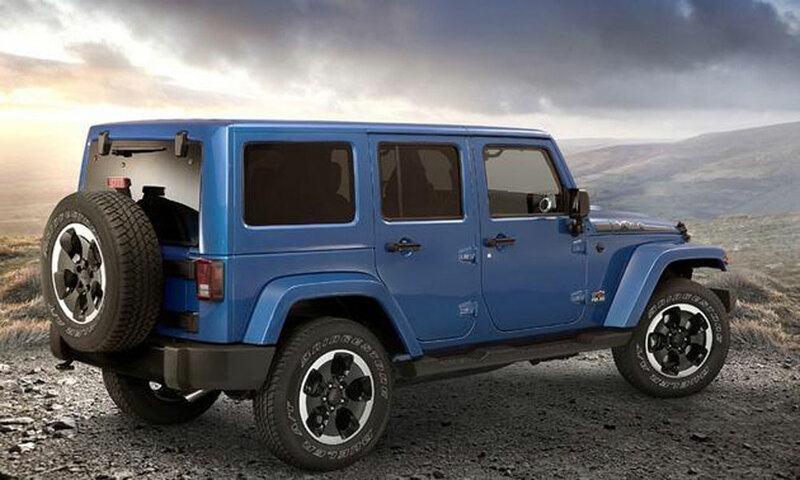 Jeep has a good thing going, a really good thing, so these special editions, while entertaining, are not needed. I get the cheeky antipodal play of having a Polar edition to offset the Sahara, but to Matt’s point, why, and where does this all end?